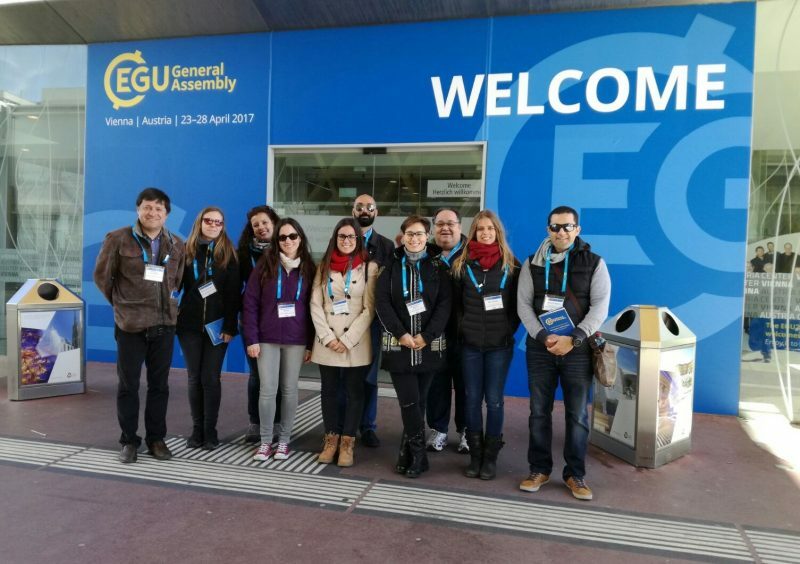 ITER, INVOLCAN AND AIET participate in EGU 2017, the greatest European Conference of Earth Sciences – ITER – Instituto Tecnológico y de Energías Renovables, S.A.
EGU General Assembly 2017 brings together geoscientists from all around the world in a meeting covering all disciplines of the Earth Sciences in Vienna (Austria). Scientists from the Institute of Technology and Renewable Energies (ITER), Volcanological Institute of the Canary Islands (INVOLCAN), and the Tenerife Energy Agency (AIET) travelled to Vienna (Austria) to participate in the largest international Conference on Earth Sciences held in Europe; the European Geosciences Union (EGU), which recorded a participation of 13.650 scientists from 109 countries in its 2016 Edition. In this new 2017 edition, which took place in the Austria Center Vienna (ACV) from 23 to 28 April 2017, ITER, INVOLCAN, and AIET scientists presented 30 scientific communications related to volcanology, geothermics, Geotourism, the binomial environment – energy and the dissemination of science. This extensive and intense involvement of scientists from ITER, INVOLCAN, and AIET in the EGU General Assembly 2017 has been possible thanks to projects financed by the Tenerife Innova program that coordinates the Area Tenerife 2030 of the Cabildo Insular de Tenerife CajaCanarias Foundation and the Spanish Agency for international co-operation for development (AECID). 25 out of the 30 scientific communications presented are related to investigations linked to volcanology and to geological, geophysical and geochemical studies in volcanic systems of Canary Islands, Cape Verde, Japan, Philippines, Nicaragua, Italy, Galapagos and Hawaii. One of these 30 scientific communications is related to the scientific event known as “The European night of the volcanoes” promoted and organized by INVOLCAN which, last year, was held in fifteen municipalities in Europe and Africa. Another of these 30 scientific papers is related to Geotourism, more specifically linked to the Caldera de Las Cañadas del Teide.